I apologize but the slide for this session will not be available. The slides are now live on the website above. 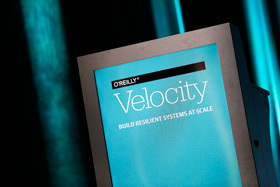 The O'Reilly Velocity in Amsterdam Video Compilation, with recordings of all tutorials, keynotes, and sessions (subject to speaker consent), is available for viewing in Safari. Where web performance, web ops, and DevOps professionals learn to build fast, scalable, and resilient websites and apps. Improving UX performance: It's not just about page-load time anymore—the focus is shifting increasingly to seamless user experiences and human interactions. Has design, or design thinking, changed the way you approach your work, products, or teams? Measuring the right things: CPU, memory and disk monitoring are not going to tell you if users are being impacted or your business is at risk. How have you adapted your metrics and monitoring approaches, and what is working for you? Reimagining DevOps, Security & Infrastructure:: Containers, microservices, unikernels, “serverless” architectures...the ground is moving beneath us while we're running on it. Let's go beyond the buzzwords and hype. We're looking for people who have practical experience with building, securing and running microservices, containers and scheduling at scale. Optimizing organizational infrastructure: As the DevOps and performance landscape changes, so too do the techniques and processes for managing and operating that infrastructure. We’re looking to hear about ways you manage people, technology, and culture to achieve DevOps at scale, resilient teams, standards compliance, and diversity. 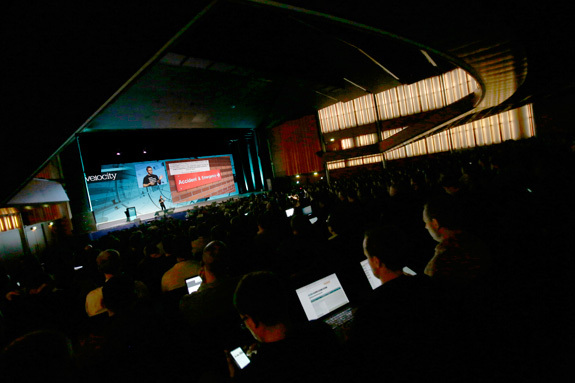 Make plans to connect with other practitioners, developers, system administrators, and engineering managers from around the world at Velocity in Amsterdam, 7–10 November 2016. Need help convincing your manager? We’ve got you covered. Immerse yourself in two days of in-depth education on critical topics. Each training takes place 9-10 November and is limited in size to maintain a high level of learning and instructor interaction.